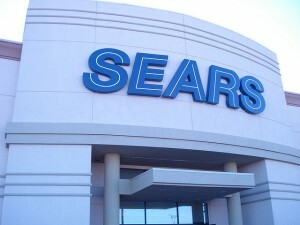 Service Untitled» Blog Archive » What happened to customer service at Sears? What happened to customer service at Sears? The entire history of Sears is way beyond the scope of today’s blog post, but a short summary of Sears has its roots dating back to 1886 when the founder, Robert Sears began selling watches in Chicago. Thirty years later arose the brands of Kenmore and Craftsman, and during the organization’s billion dollar growth came Allstate, Caldwell Banker, and Dean Witter. Such was the tradition of Sears as it was well known as the General Store and a provider of everything one needed. When Sears introduced their catalog business, retail sales was revolutionized. Color photos of merchandise delighted shoppers browsing the hundreds of pages of shoes, women’s lingerie, washing machines, tools, and even children’s matching outfits; Sears was the ultimate shopping experience for every member of the family while they sat comfortably at home. So what has happened? According to online surveys, over 80 percent of customers now give Sears poor customer service grades citing reasons of inept management, unreliable products, poor customer service, and a profound lack of employee training. Of course, Home Depot, Best Buy, Walmart, and the Internet giant Amazon have all cut into the general store attitude of Sears, however there will always be shoppers who prefer brick and mortar establishments and enjoy the experience of the places our grandparents and parents loved to shop. Sadly one of the problems is that Kenmore and Craftsman, although still strong in the Sears’ culture, are now outsourced and sadly that leads to repair problems; so much so that Sears is now a bankruptcy target with a loss of $3.1 billion in 2012. Can Sears be saved? Probably the best suggestion to Sears would be to bring back the culture of the last century. Customer service begins with employees who want to be working and doing their best. My last experience in Sears in the upscale Palm Beach Gardens Mall was in search of a new washer and dryer when I moved into my new home. Sadly there was an insufficient staff to help anyone, and the salespeople had limited knowledge of the merchandise. According to Measuredup.com, complaints about repairs all through the country are consistently poor for Sears’ appliances, lawnmowers, and even tractors. The cost of repairs seem even more contentious. Consumers driven by finding the lowest prices will ultimately buy online; stores like Sears therefore have to concentrate on their showrooms and presenting superior products, “wow” customer service, and follow-up service and repairs to build customer loyalty and referrals. Sears went online in 1997, but their entire culture is essentially broken. It’s been suggested that Sears reinvent themselves to focus on men. After all Craftsman tools have always been a male Christmas present staple; for all those weekend home chores. Experts say get rid of the women’s clothes and jewelry and stock up on Lands End merchandise which appeals to men. Invest in some expert staff training, raise salaries to attract the best sales personnel, concentrate on the company’s culture, and rebuild an organization that once dazzled shoppers across the United States. Here is what I think of Sears lately. I attempted to send this to executives of Sears – only got one that appears to have gotten a valid e-mail address for – so I am sure I will never hear back on this at all !! I want to inform you that I will never step foot in a Sears or Kmart store ever again, and I will certainly let everyone I know of the experiences that have lead me to that decision. I have purchased many big ticket appliances from Sears over the years because I always thought that Sears was reputable and sincere with backing the products they sell and had integrity, after all Sears was the number 1 retailer for many years not all that long ago. Well I guess that is no longer the case, especially regarding my experiences with a $1000 snow blower that since I had it has had nothing but problems over the time I had it – has been serviced many times – every time I needed it will not start, and the big run around of your customer service department trying to resolve the issue in some form of reasonable way – this snow blower is nothing but a lemon, has wasted a lot of my time, and then last night I have to listen to the gawl of some supposable manager that says she has the authority to resolve this basically call me a liar. I ended this fiasco of supposedly called customer service and the on and on discussion with this “manager” on how Sears want to back up their products and not providing some acceptable solution other then returning the unit again to wait several weeks to have the repair not work again, and while I have 10 inches of snow in my driveway – but only in the manner she sees fit. , I did that by going to Home Depot and immediately bought a new one so I could make my driveway passable last night! This will be my last waste of time with this – as I said I will never step into a Sears or Kmart store ever again and if I could I would like to place my piece of junk $1000 snow blower on display somewhere so that other people can be aware of how Sears doesn’t care about selling high priced products and oblivious to whether the customer is satisfied and getting his or hers money’s worth ! As it is a known fact that Sears and Kmart is struggling – I say good riddance at this time, but it is a shame since Sears was at one time “Americas store” that could be counted on for integrity !